(BOSTON) — Antibiotic resistance is rapidly spreading around the world among bacteria responsible for the most common infections, many of which can become life threatening without successful treatment. In order to fight this serious public health threat, a team led by Wyss Institute Core Faculty member James Collins, Ph.D., is working to uncover the bacterial mechanisms underpinning bacteria’s ability to survive antibiotic treatment, in hopes of targeting them therapeutically to improve drug efficacy. Their latest findings were published March 21 in Nature Genetics. "Specifically, we were very curious to examine the role of the bacterial epigenome," said Nadia Cohen, Ph.D., first author on the study, who was formerly a Postdoctoral Research Fellow at the Wyss Institute, and is now an Antibacterial and Antiparasitic Research Scientist at Valera Therapeutics. The epigenome is made up of a vast number of chemical groups and proteins that can bind and "mark" an organism’s DNA, regulating the way cells interpret the genome’s instructions. Epigenetic elements can help animals adapt to changes in the environment, but whether the same happens in bacteria has so far remained a mystery. But now, Collins and his team’s latest findings suggest that an epigenetic modification known as DNA methylation could be a novel target in bacteria for therapeutically enhancing antibiotic efficacy. They found that in several E. coli strains, methylation of adenine – which is one of the four building blocks of DNA (with guanine, thymine, cytosine) – at specific sites throughout the genome could be crucial to the bacteria’s ability to survive antibiotic stress. "Bacteria in which we removed the enzyme responsible for this kind of DNA methylation were exquisitely sensitive to low doses of several different classes antibiotics," said Cohen. 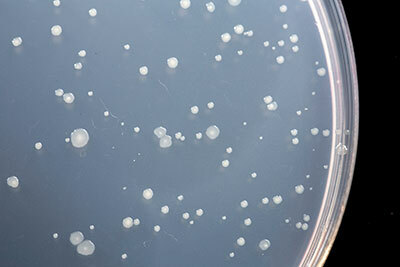 "During antibiotic stress, the genome of bacteria is under intense pressure to rapidly evolve. It turns out that without adenine methylation, an important process that allows the evolution of resistance, called induced mutagenesis, causes a lot more damage to the DNA then it normally does and leads to cells death." "Adenine methylation of DNA occurs in several pathogenic bacteria, but is not present in humans," said Collins, who is also Termeer Professor of Medical Engineering & Science and Professor of Biological Engineering at the Massachusetts Institute of Technology’s Department of Biological Engineering, "so targeting these systems therapeutically might be a powerful new way to potentiate antibiotic treatment. In fact, our data suggest that this strategy can partially reverse resistance in even the most highly antibiotic-insensitive strains, which is a very exciting finding." Collins’ team has made other recent strides in understanding factors of antibiotic resistance. Previously, the team identified cellular respiration as a critical differentiator in the effects of antibiotics, which could lead to development of new strategies for combatting bacterial tolerance to drugs. And more recently, partnering with Wyss Institute Founding Director, Donald Ingber, M.D., Ph.D., Collins is leveraging the Institute’s proprietary human organs-on-chips technology to study an in vitro model of the gut microbiome using a human gut-on-a-chip, which could help unveil new information about how antibiotics affect the gut microbiome and the health of the intestinal tract.